Pre-owned pricing includes all offers and incentives. Tax, Title and Tags not included in vehicle prices shown and must be paid by the purchaser. While great effort is made to ensure the accuracy of the information on this site, errors do occur so please verify information with a customer service rep. This is easily done by calling us at (314) 647-2400 or by visiting us at the dealership. 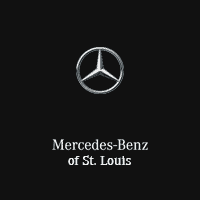 Thank you for your interest in one of Mercedes Benz of St Louis's online offerings. 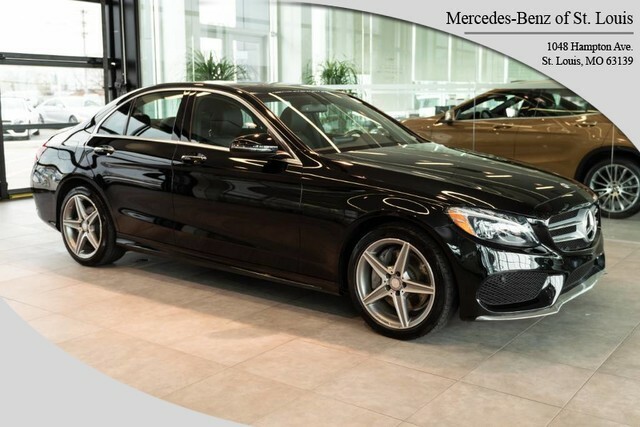 Please continue for more information regarding this 2016 Mercedes-Benz C-Class C 300 Luxury with 44,639mi. How to protect your purchase? CARFAX BuyBack Guarantee got you covered. 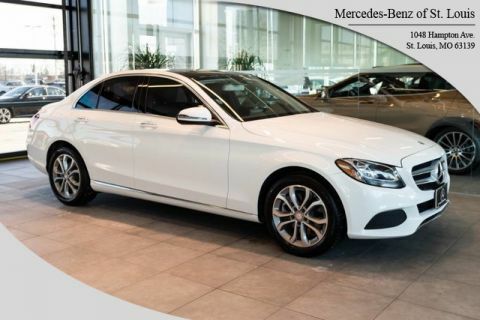 You know exactly what you are getting when you purchase a Certified Pre-Owned like this Mercedes-Benz C-Class. Is it possible to fall in love with a vehicle? 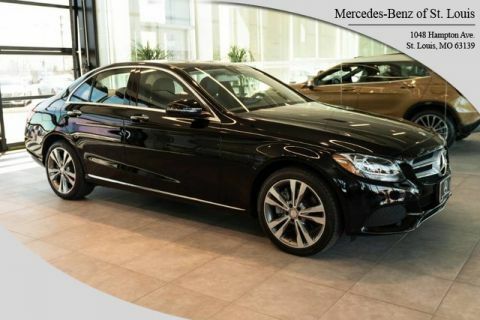 It is when your vehicle is as prestige as the Mercedes-Benz C-Class. This vehicle was engineered to be both economically and environmentally friendly with exceptional fuel efficiency. Enjoy driving? Well now you will get more thrills behind the wheel thanks to the heightened performance of AWD. Better handling. Better traction. Better driving experience. Low, low mileage coupled with an exacting maintenance program make this vehicle a rare find. 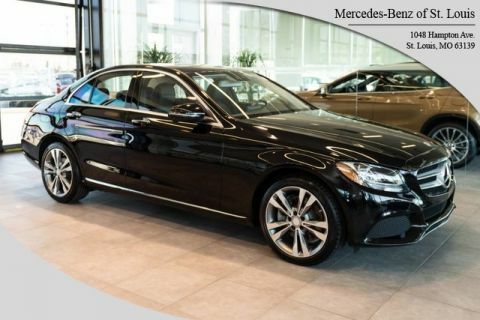 More information about the 2016 Mercedes-Benz C-Class: The C-Class has traditionally been Mercedes-Benz' entry-level car. However, with the arrival of the CLA, the C-Class is no longer the German automaker's least expensive model. Mercedes-Benz has packed the 2016 C-Class full of upscale technology, determined to make the car feel anything but entry level. Despite this move upmarket, pricing on the C-Class remains competitive with other European small sedans such as the BMW 3-series. The 2016 C-Class starts at around $40,000. Interesting features of this model are high-end features, all-wheel drive, Attractive modern styling, fuel-efficient diesel and hybrid engines, plus powerful turbocharged engines, and typical Mercedes-Benz luxury On-Line Sales Price may not include Mercedes Benz Certified Pre-Owned Warranty *CALL TO VERIFY PRICING AND WARRANTY INFORMATION.